Gov. 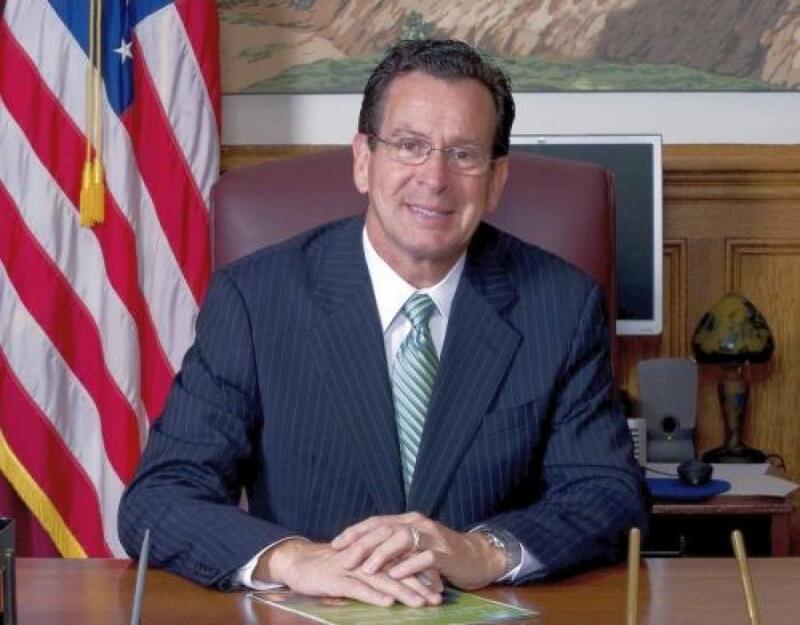 Dannel Malloy announced that eleven projects in towns and cities across Connecticut will receive $15 million in funding under a competitive grant program that supports transit-oriented development and responsible growth in the state and is targeted at boosting economic activity and creating jobs. The grants come under the state's Responsible Growth and Transit-Oriented Development Grant Program, which is administered by the Office of Policy and Management (OPM) and relies on a combination of funding from the Responsible Growth Incentive Fund and the Transit-Oriented Development and Pre-development Fund. Earlier this year, OPM released a Request for Applications for the grant program, and the State Bond Commission approved a total of $15 million to be used — comprised of $5 million from the Responsible Growth Incentive Fund and $10 million from the Transit-Oriented Development and Pre-development Fund. Following that, OPM — with input from other state agencies — reviewed, rated, and ranked each of the proposals. Property acquisition for transit-oriented development: $536,884 to acquire property at 861 Farmington Avenue and the rail spur property adjacent to the Berlin Steel Site. These acquisitions are intended to assist in environmental cleanup efforts underway by the town and to expand redevelopment opportunities in the vicinity of the train station. Wastewater system design for former Unilever factory: $55,000 to design an onsite wastewater disposal system for the former Unilever factory property, a 300,000 sq.-ft. facility on 25 acres directly adjacent to the Clinton Train Station, which serves Shore Line East. This funding will enable the surveying, testing, design, and engineering of a wastewater disposal system intended to facilitate a transit-oriented development-style redevelopment of the property. Planning for storm-water management and village center redevelopment in Warehouse Point: $123,800 to develop a storm-water management plan and establish new zoning recommendations and other guidelines to promote the village-style redevelopment in Warehouse Point. The resulting storm-water master plan will inform land use and zoning recommendations intended to promote village-scale improvements based on conventional complete streets and smart growth principles. A portion of this funding is dedicated toward providing public workshops and additional outreach to keep citizens informed throughout the process. Bradley Road pedestrian improvements: $200,000 to construct pedestrian infrastructure improvements along Bradley Road extending from the train station to Wall Street, including new sidewalk construction, sidewalk widening, accessible curb ramps, and marked crosswalks. Madison received a 2016 Responsible Growth and Transit-Oriented Development Grant award for improvements to the Tunxis Walkway, and the small section of Bradley Road connecting the walkway to the train station. These two grant awards, combined with other improvements, will create a contiguous sidewalk network in a large portion of Madison Center and the area surrounding the train station. Columbus Boulevard pedestrian infrastructure improvements: $1,999,500 to continue with Phase VII of the city's planned, multi-phased redevelopment of the business district area adjacent to the downtown CTfastrak station. This phase will extend pedestrian infrastructure improvements along a portion of Columbus Boulevard and Chestnut Street, including sidewalks, lighting, and way-finding. East Avenue transit-oriented development plan: $125,000 for analysis and development of a Transit-Oriented Development Plan for the area surrounding the East Avenue rail station. The planning study will analyze existing conditions, opportunities and constraints in order to develop a clear framework and vision for the future of the area, and establish guidelines for design and development. Regional bike and pedestrian plan: $239,050 to develop a unified pedestrian and bicycle improvement plan for the region that identifies and incorporates local planning needs, as well as each municipality's contribution to the broader network. In addition to bike and pedestrians planning, this project will include a focus on integrating these modes with the local transit network. Activities shall include, but are not limited to, existing conditions analysis and data collection, public outreach, and the development and publishing of a final report. Complete Street technical design: $450,000 to complete the technical design of complete streets improvements along a portion of Main Street from Barnum Avenue, south to East Broadway. This project is one of several identified as high-priority in the town's 2017 Complete Streets Plan, and is intended to enhance access and safety for bicyclists and pedestrians. Upon completing the technical designs, the town will be positioned to begin implementing the necessary improvements. Approximately $250,000 of the total grant award will set-aside to cover costs associated with any environmental contamination discovered within the project boundary. Downtown transit-oriented development facilitation project: $175,000 to fund the planning and engineering design for pedestrian improvements along North Colony Street and Hall Avenue, including sidewalk, streetscape, and traffic-related changes. The project will evaluate various options and costs for improving pedestrian connectivity between the downtown and the new train station, including the development of conceptual engineering designs, cost estimates, and a final report summarizing preferred alternatives. This study will build on the recommendations of the town's recently updated Plan of Conservation and Development and recently completed Transit-Oriented Development Plan. Downtown improvements: $601,224 to fund planning and construction improvements in downtown Winsted. A portion of this funding will be used to design and construct upgrades to Whiting Street to address chronic flooding, pedestrian connectivity, parking and traffic calming. The remainder of the funding will be used for the study and technical design of pedestrian and traffic improvements in the Bridge Street/Depot Street/Main Street area. Main Street transit-oriented development implementation, Phase II: $1,847,400 for the construction of a retaining wall and surface parking lot intended to support the redevelopment of three parcels in the Main Street Commercial District, across from the new train station. This grant will build on the state's previous investment in transit-oriented development within Windsor Locks, as well as the town's continuing efforts to position these properties for redevelopment in-line with the town's new transit-oriented development-inspired Main Street Overlay Zone regulations. For more information, visit ct.gov/dot.